It thrills me to no end to announce that the official launch date of my online shop, Life Styled, is just around the corner. Monday, May 26th will be a soft opening, featuring a well edited capsule collection of local artists and artisans from the Northwest. I'm excited beyond belief that my plans are coming to fruition. I can't tell you what a joy it was just to hold copies of my business license and reseller permit. I'm also excited to announce that fashion illustrator, Maya Beus, is in the process of creating an exclusive print which will be featured in Life Styled. The fact that Maya currently resides in Vancouver, firmly makes her a Northwesterner. The images that she's basing inspiration from are to die for. The subject matter of the illustration, of which Maya and I collaborated on the concept, is appropriate for a spring debut. Blooms will feature heavily in the illustration. 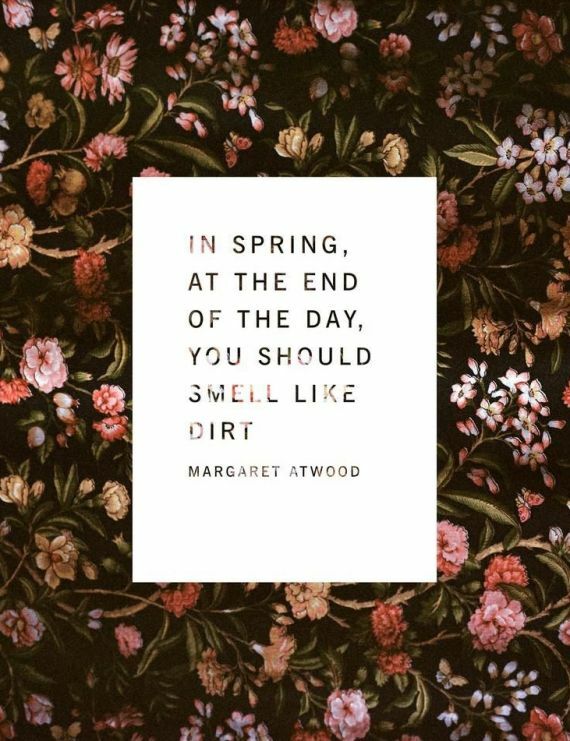 Indeed Ms. Atwood. As the first of May looms I always enjoy the May Day tradition that date signifies. For those unfamiliar with the tradition, on the first of May why not consider leaving a bouquet of flowers or flowers in a basket on someone's doorstep anonymously. It's such a sweet gesture that I always enjoyed as a child. I'm thrilled beyond belief for the success of my friend, James Beard nom, Blaine Wetzel and the recognition he's bringing to the island I grew up on. "The idea is that each days menu reflects almost like a moment in time in nature or on the island", what a lovely sentiment. On another note, the radio silence on this blog of late was due to the fact that my blogging platform, Typepad, was hit with a DDoS Attacks, which started on Friday. Everything appears to be status quo at the moment and here's hoping it's smooth sailing from here on out. Over the weekend I managed to attend a joint Birthday party for my Dad and sister in Seattle. While in Seattle I also managed to fit in a blowout at Swink Style Bar and snagged a limited edition Hi-Hat cupcake from Trophy Cupcakes (gluten free, naturally). Then on the drive back up northward towards home, we took a meandering drive trough the tulip fields in Skagit Valley. Whenever I'm living in Washington I try to always make a point of not missing this spectacular sight that occurs around Easter, when all the tulip fields seem to bloom simultaneously. Easter Sunday was comprised of church, treats, and a lovely dinner. All in all not too shabby of a weekend. 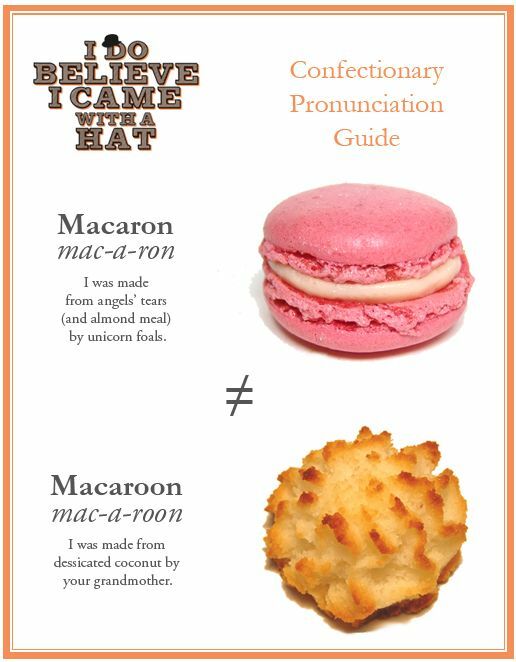 ...learn the difference between a macaron and a macaroon. 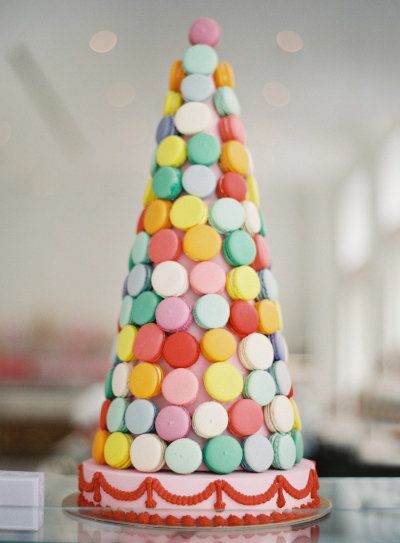 I have my eye on this Bottega Louie macaron tower for my upcoming Birthday next month. TDF, no? So I was quite late to jump on the Gone Girl bandwagon, but now I know what all the fuss is about. The hoopla surrounding this book is certainly appropriate, as I couldn't put the thing down. The premise is thus, "When a woman goes missing on her fifth wedding anniversary, her diary reveals hidden turmoil in her marriage. Meanwhile her husband, desperate to clear himself of suspicion, realizes that something more disturbing than murder may have occurred." It is a chillingly captivating work of fiction. The Chicago Tribune proclaimed that Gillian Flynn's work “draws you in and keeps you reading with the force of a pure but nasty addiction”, that seems apropos. Within the primary story lies a secondary story, and that's where things really get thrilling. I'll leave it at that. A film version of Gone Girl, scripted by Flynn and directed by David Fincher (“Zodiac,” “The Girl with the Dragon Tattoo”), hits theaters on October 3rd. The film adaptation stars Ben Affleck and Rosamund Pike as the Mr. and Mrs. Dunne. Initially I wasn't keen on the idea of Affleck as Nick Dunne. Though after viewing the trailer, my opinion has shifted. How about the brilliant poster?